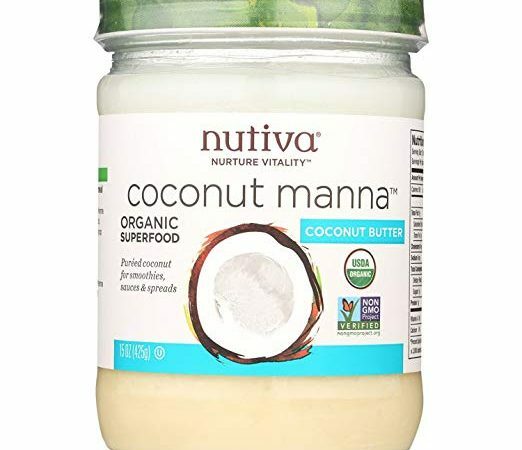 Nutiva Coconut butter (called Coconut Manna) is made with fresh organic coconut meat, which is flaked and conveyed through a hot air dryer, which runs at 170°F, within a few hours of shelling, and is then ground like a nut butter. It is not pasteurized or refined. 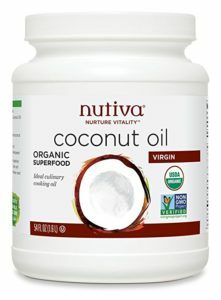 Coconut Butter has 3g of carbs per Tbs, and can be used as a treat – mix with berries and nuts. It is a whole food. Coconut butter contains protein, carbohydrates, fiber, and oil. Buy flaked coconut, toast it briefly in the oven, watching carefully so that it doesn’t burn. Use a high powered blender or food processor (may take 10 minutes), to make it into a buttery consistency. If your coconut butter gets rock hard, you’ll need to warm it on the stove. 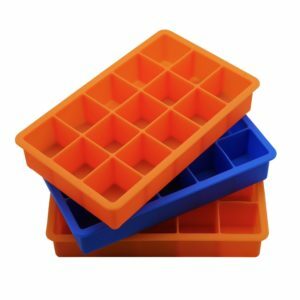 Here is another great idea to make this easier and portion-controlled. Fill silicone molds with coconut butter. Pop out the coconut manna chunks and store in a glass jar in the refrigerator. Take out 1 or 2 chunks, warm and add berries and nuts. How do you use coconut butter? How do you deal with it once it becomes rock hard?